This conversion of a ground-floor loft space into a clothing boutique for the designer challenges traditional retail planning to create a unique customer experience. The store consists of three distinct, yet integrated spaces. 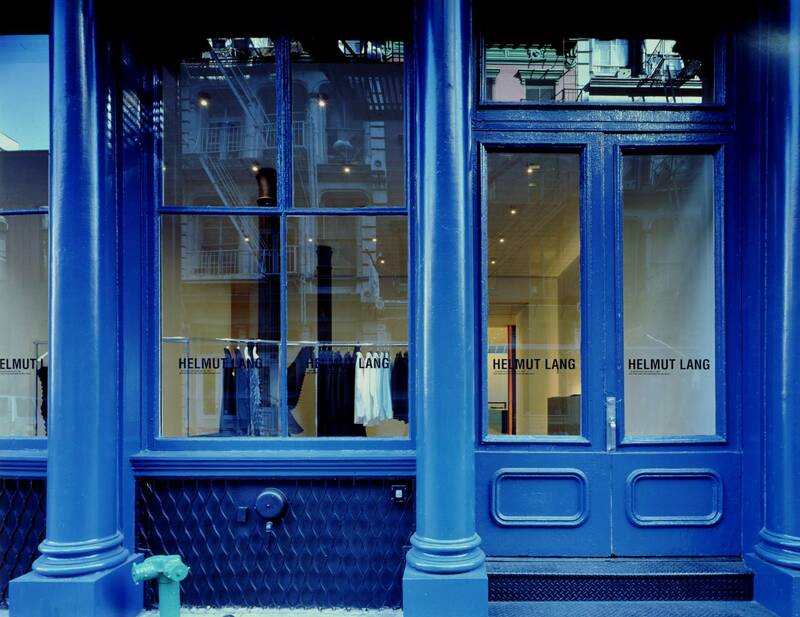 A reception room, visible from the street, is an enigmatic space not dedicated to the display of merchandise. 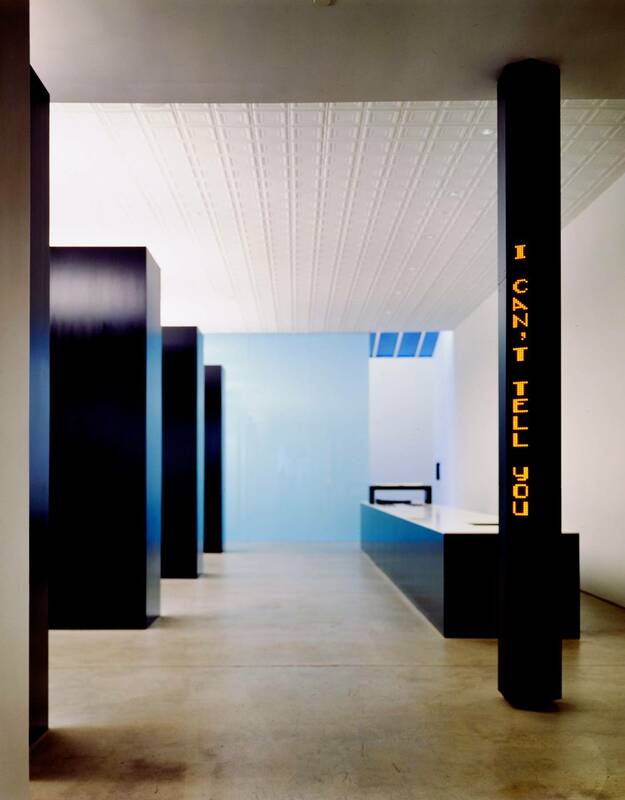 The merchandising area is located towards the rear of the store, past an installation by the artist Jenny Holzer. 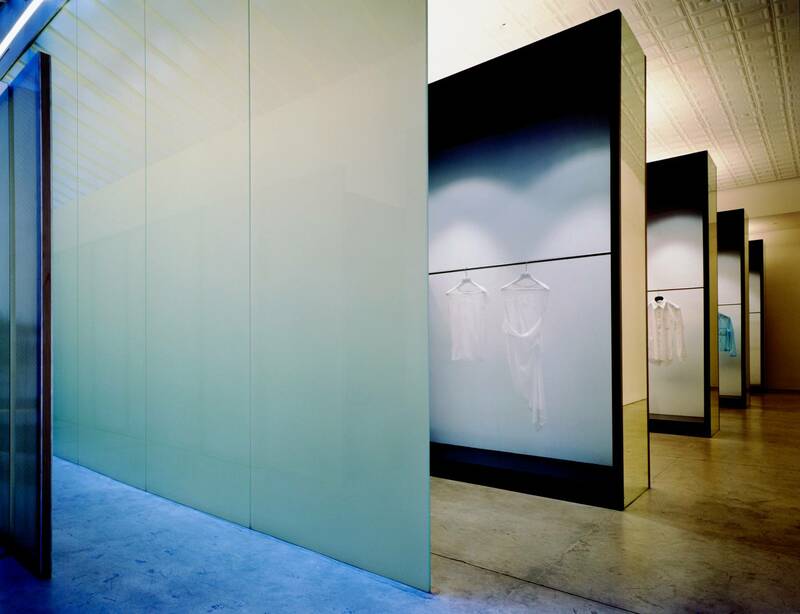 The customer is drawn into the spare room by a back-lit, full-height, translucent glass wall that conceals a series of generous changing rooms situated beneath a continuous skylight. 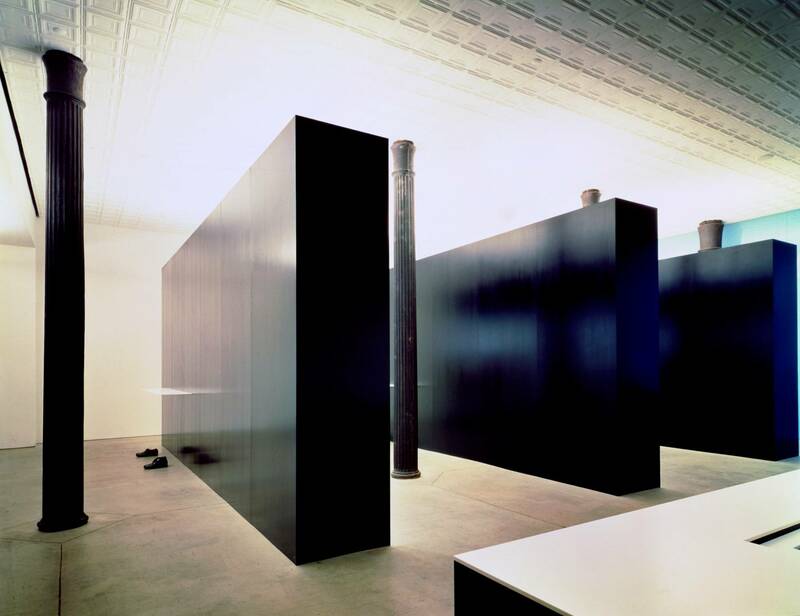 A series of large, monolithic black cabinets only reveal the designer's clothing upon passing.